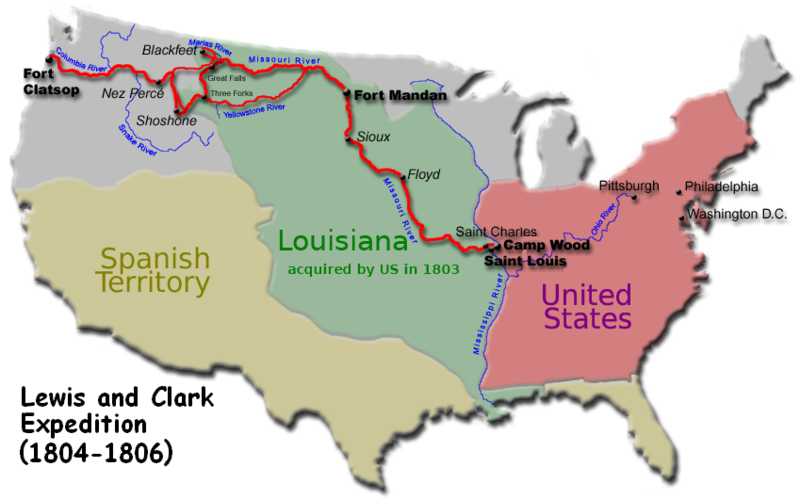 ﻿﻿ It took American colonists one hundred and fifty years to move as far west as the Appalachian Mountains, just a few hundred miles from the Atlantic Ocean. It took another fifty years to push the frontier to the Mississippi River. 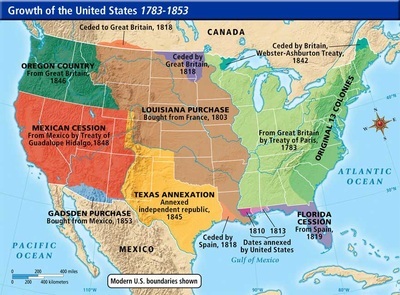 Looking for cheap land and inspired by the belief that Americans had a “manifest destiny” to occupy the whole continent; pioneers had, by 1850, pushed the edge of the frontier south to Texas and west to the Pacific Ocean. However, the land that settlers moved onto was often already occupied by people who had lived there for more than a thousand years. These people were forced to leave their homes and move to strange lands far to the west. Settlers justified this action by saying it was their right to occupy and develop all the land between the Atlantic and Pacific oceans. 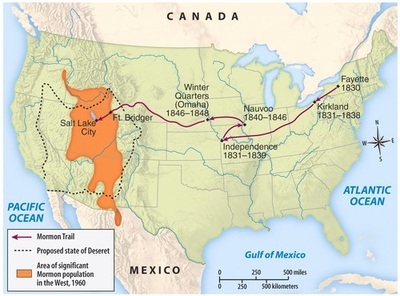 The westward expansion of the United States was closely related to the concept of Manifest Destiny, which many used as justification for America’s territorial expansion. 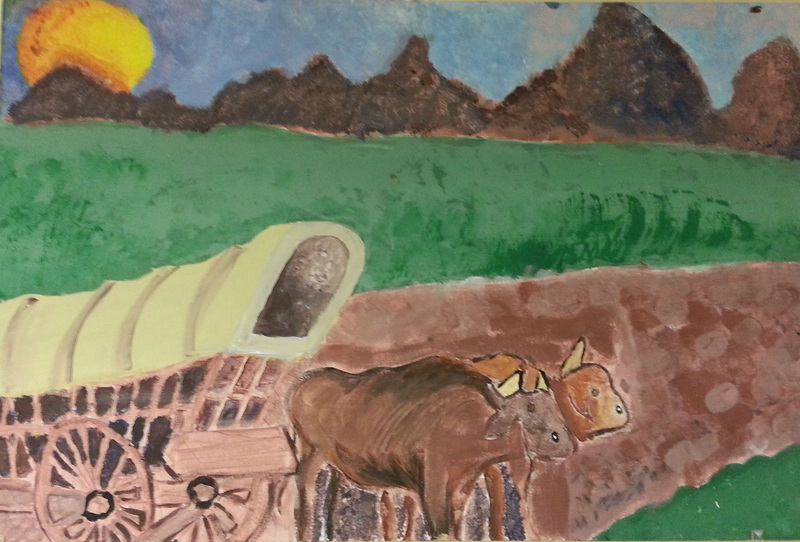 The story of westward expansion involved settlers moving onto land already occupied by Native Americans and other groups of people. 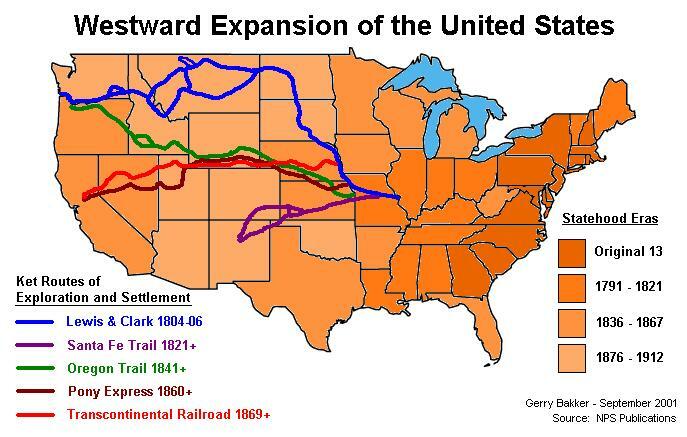 Why did Americans of European descent feel so compelled to expand the country westward? 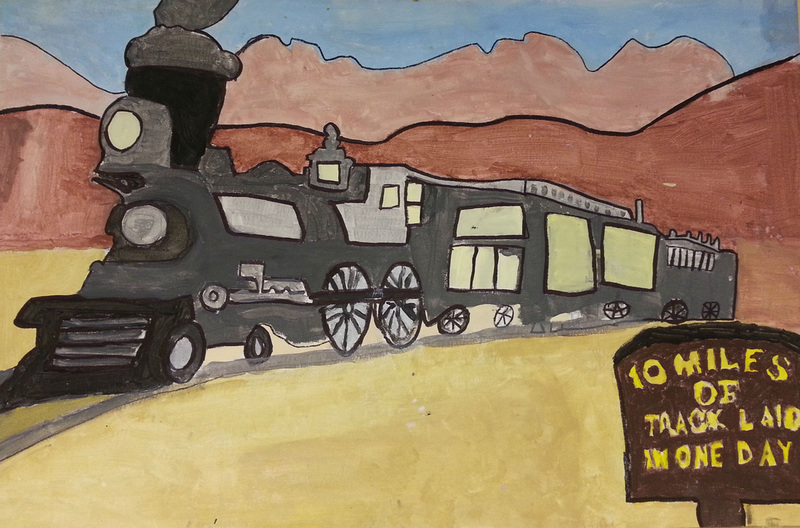 What might 19th-century Native Americans have said about Manifest Destiny? Why would they have taken this perspective? 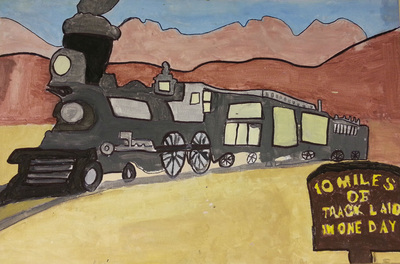 What would it have been like to walk in the shoes of a 19th-century settler in the West? What did 19th-century federal legislation and military activity reveal about the government’s attitude toward westward expansion? In what ways did western expansion rely on immigration? ﻿You must read at least three books on this time period and use your notebook to write about your thinking about your reading. You must draw a ﻿﻿historical map﻿﻿ of this time period (1804-1860). 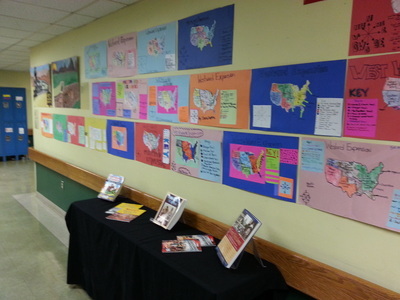 Your map should show how the country grew in size, the routes early settlers followed as they moved west, and the names and locations of Native American communities settlers may have met along the way. 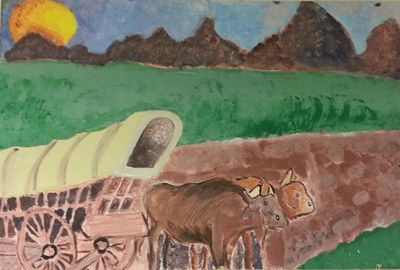 You can write a three page informational essay about a topic of your choice concerning westward expansion. Working with a team of five or less classmates, you can create and publish a historical atlas about the period. You can come to me with a proposal for a project that you would like to do. 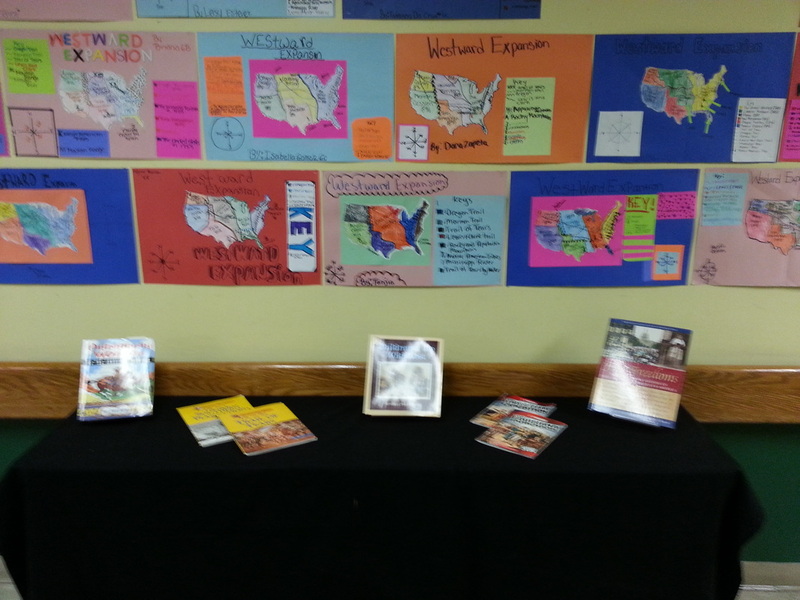 Be prepared to explain what your proposal will look like, what materials you will need, and how it will show what you learned about the Westward Expansion. Your notebook should reflect the work you did for this unit. In general, I expect to see about one page of work for every day we are in class. Evidence of your reading should be properly cited. Your notebook counts for 40% of your academic grade for this unit. Assigned readings count for 20% of your academic grade. Your final project will count for 20% of your academic grade. Your map will count for 20% of your academic grade.